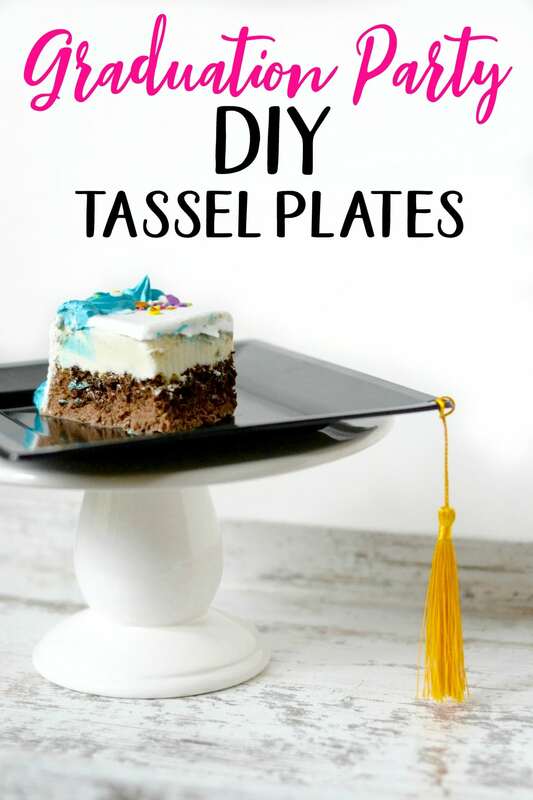 Celebrate your favorite graduate with these fun DIY tassel party plates. 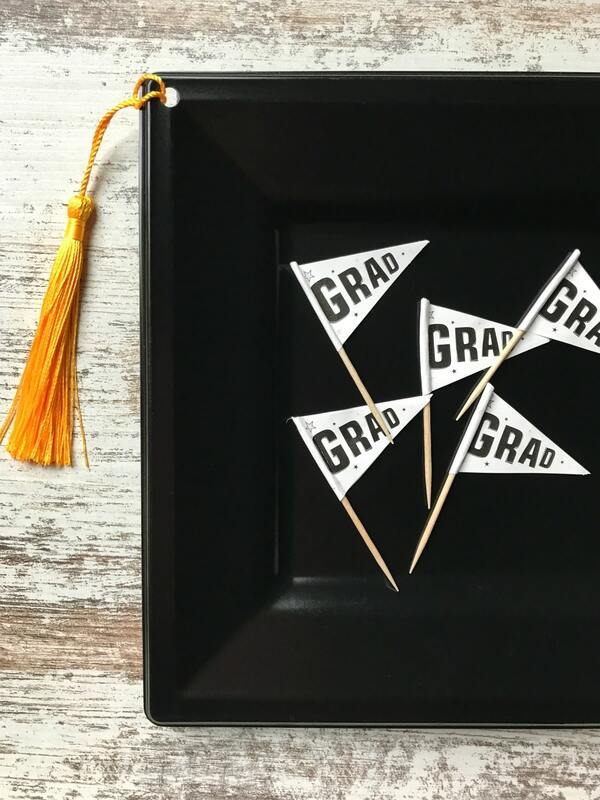 They are SO easy to make, and will add some festive fun to any graduation party. Graduation season is here! 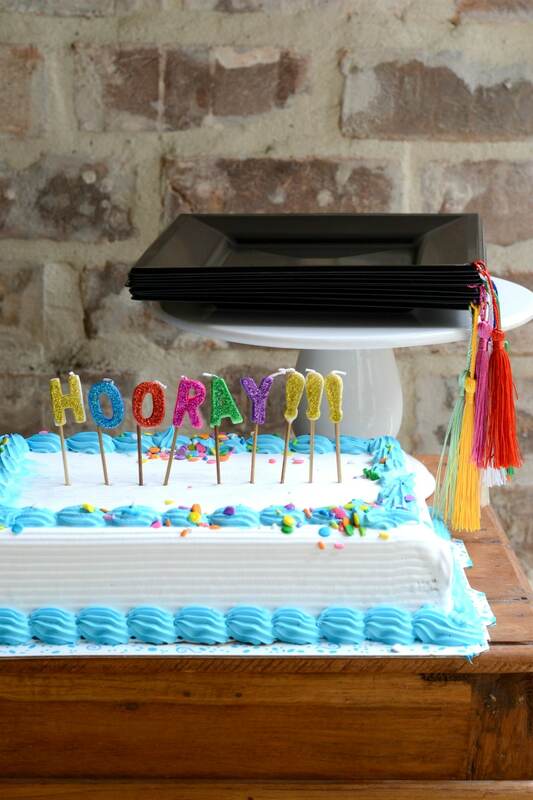 Whether you’re celebrating a pre-school graduation, a college graduation, or something in between, I have a fun idea that will help you celebrate in style. My daughter is going to be graduating from elementary school this year, so I’ve been looking for fun and easy ways to mark this milestone without going to a lot of trouble or expense. 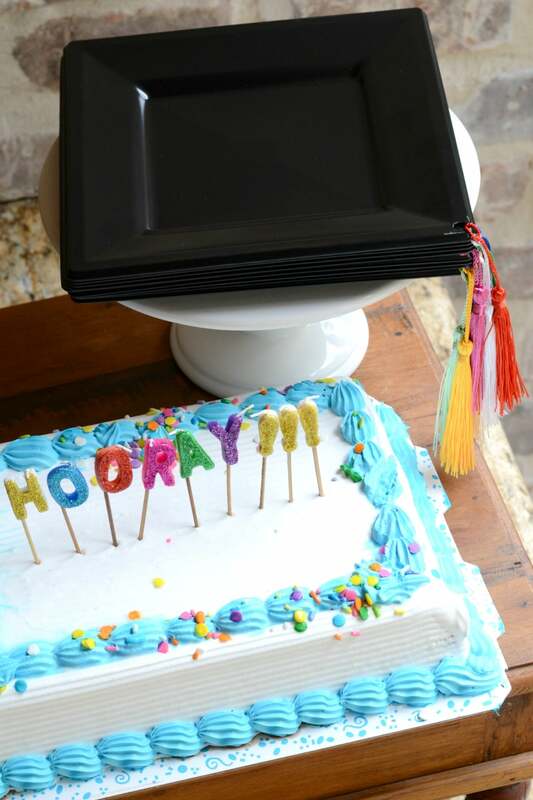 These DIY graduation party plates are so easy that even the least crafty person in the world can make them. Once you’ve got your supplies in hand, they come together in minutes. And, you can customize them with any color(s) of tassels that you like. You can also use a different plate color to match the colors of the school your child graduated from, or the school he or she will be attending next. To add to the easy entertaining factor, I picked up an ice cream cake at my local Walmart. 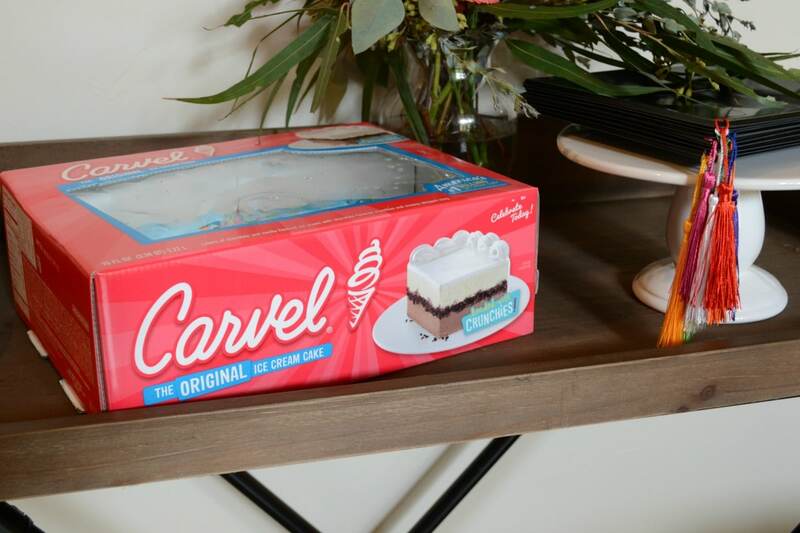 I Love Ice Cream Cakes showcases delicious frozen ice cream cakes for all occasions and springtime celebrations, conveniently available in grocery stores nationwide in the bakery or freezer section. If you want to find a retailer close you, just type your zip code into the product locator, and it’ll show you where to find a cake in your neighborhood. 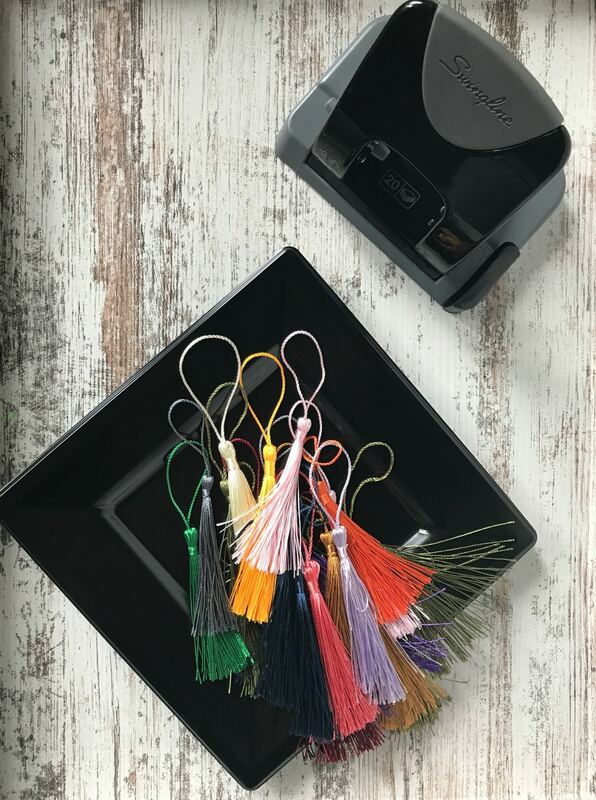 *You can make your own tassels if you choose, or you can find inexpensive tassels at a craft store or online. Just punch a hole in the corner of each plate, feed the top loop of the tassel through the hole, and then push the tassel through the loop so that it hangs from the corner. Parties don’t need to be elaborate or expensive to be fun and special. 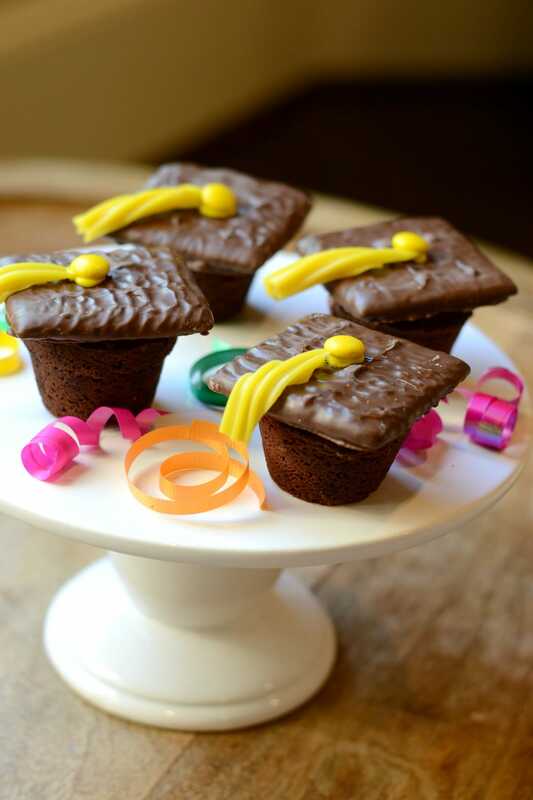 If you’re looking for more easy graduation party ideas, check out my tutorial on how to make chocolate graduation caps.